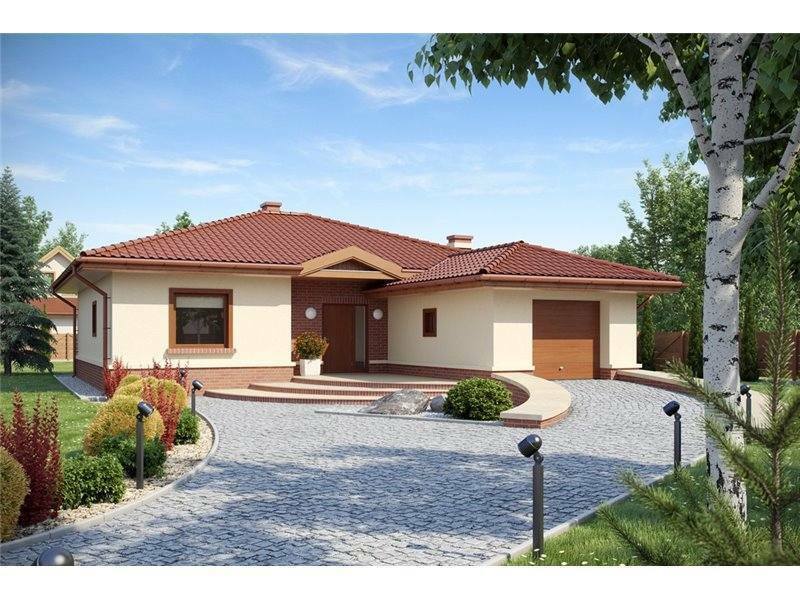 The first project is a house with a built area of 217 square meters and a useful area of 183 square meters, while the key price is slightly below 97,000 euro. 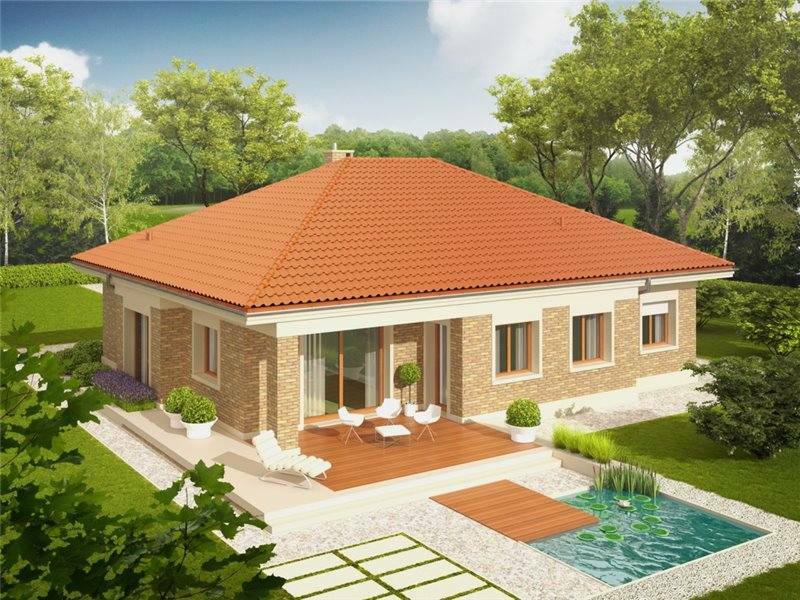 Thus, the house below is ideal for a family with two children, having, besides the living spaces, three spacious bedrooms, a garage for two cars, and a beautiful terrace in the back. The second house we selected has large windows and a terrace in the back, whose walls are dressed in brick. 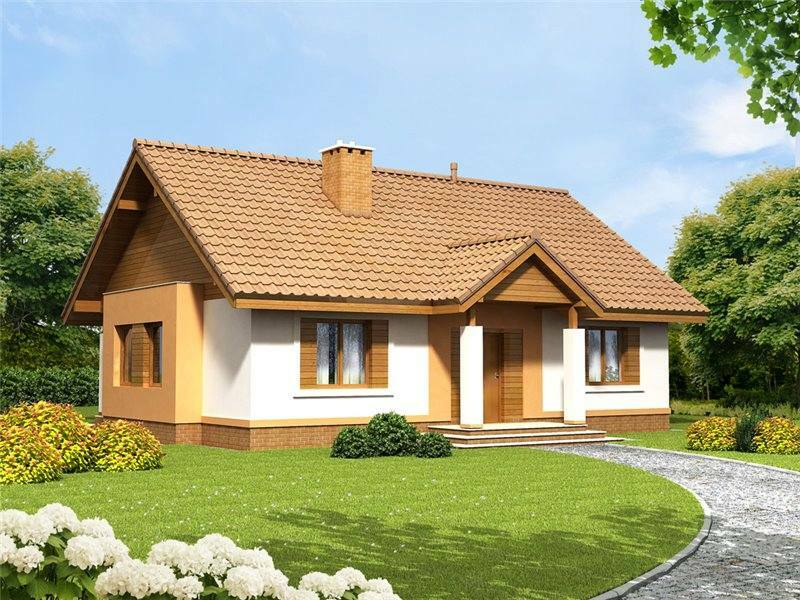 Its useful surface is 127 square meters, and the price of the turnkey construction is 63,000 euros. It has the garage in front, which reduces it from the width, and a technical space in its extension, in line with the vestibule. 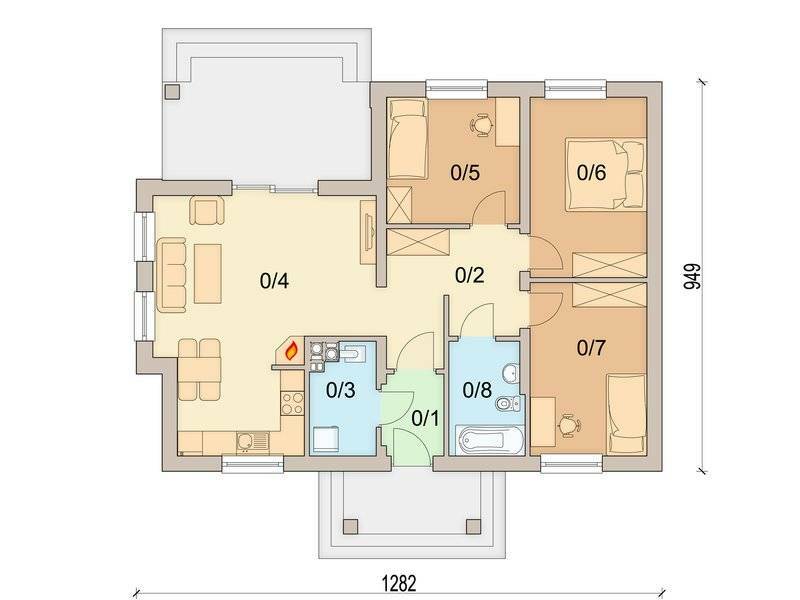 From there you can enter the small salon, with open kitchen and dining place in the back, from where it comes out on the terrace or in a hallway leading to the three bedrooms, bathroom and toilet. 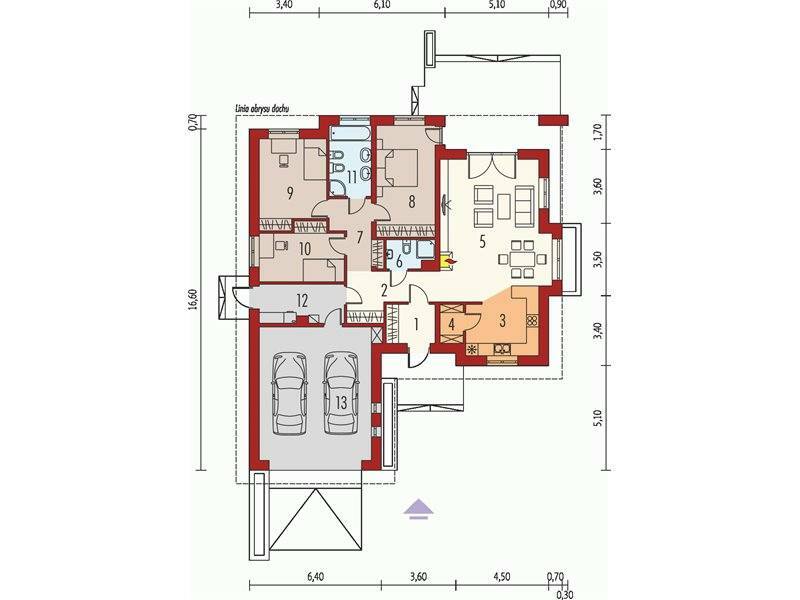 The last house has a built area of 127 square meters and a ground footprint of 105 square meters. 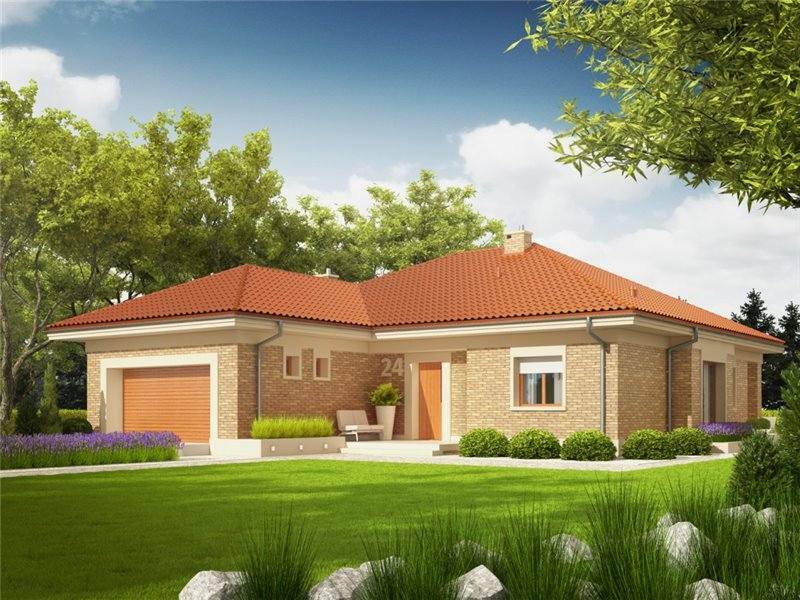 The price for the house below reaches about 59,000 euros, turnkey price. 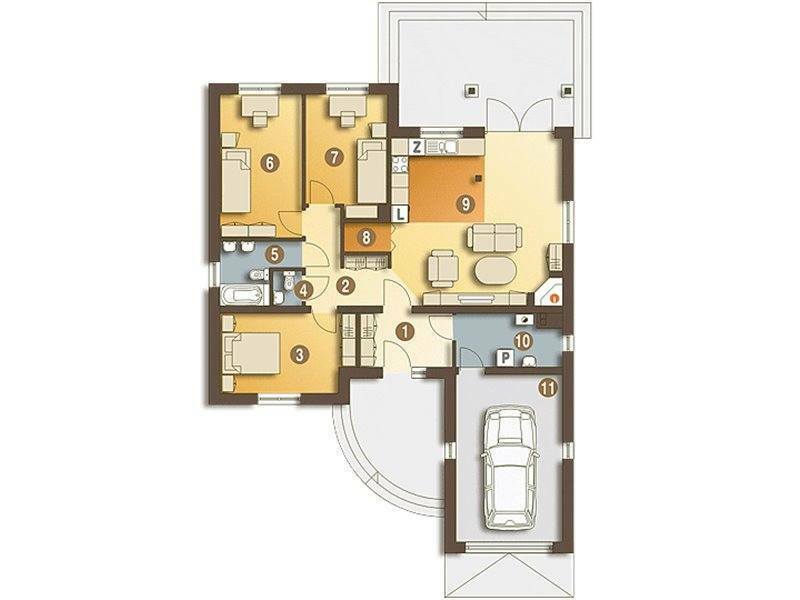 Splitting is a convenient one, with an open space comprising the living room, dining and kitchen and three bedrooms located on the opposite side, for more quiet.